on the wall who’s the fairest of them all…ME DUH!! (I am almost a NC15). 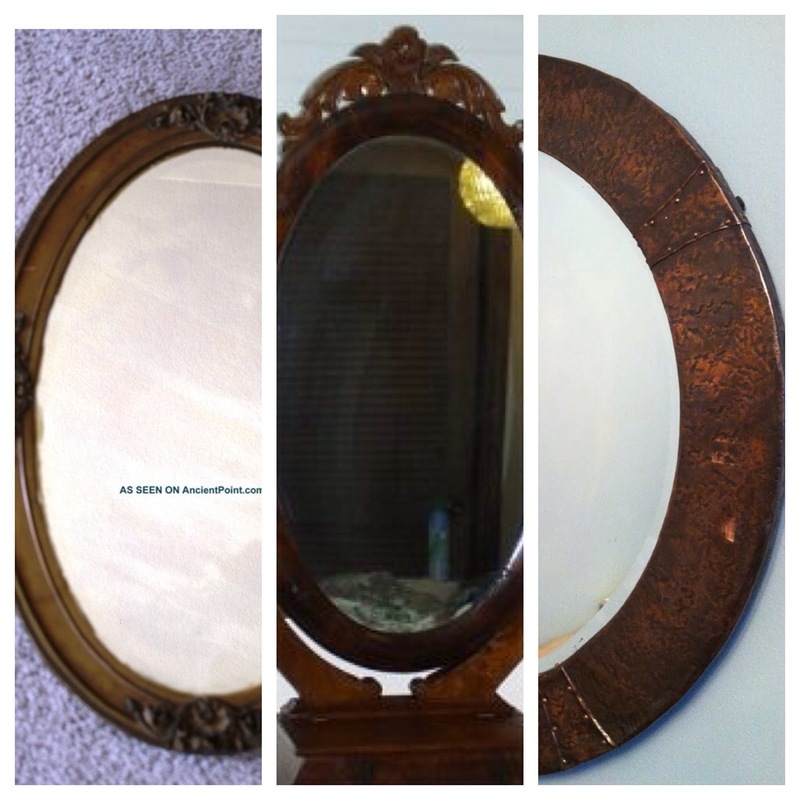 This week on the Friday Files I was inspired by the idea of old vintage mirrors. Using some nail foils, a few MAC Pigments and of course some MAC 3D glitters all mixed up with clear bio sculpture gel. Prep, file and shape your nails . 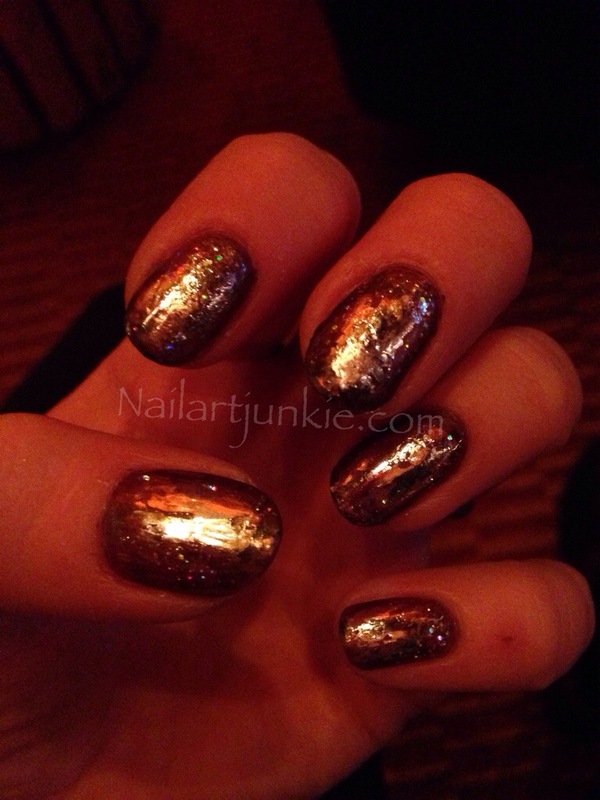 I choose an oval shape so that my nails would mimic an oval vintage mirror. 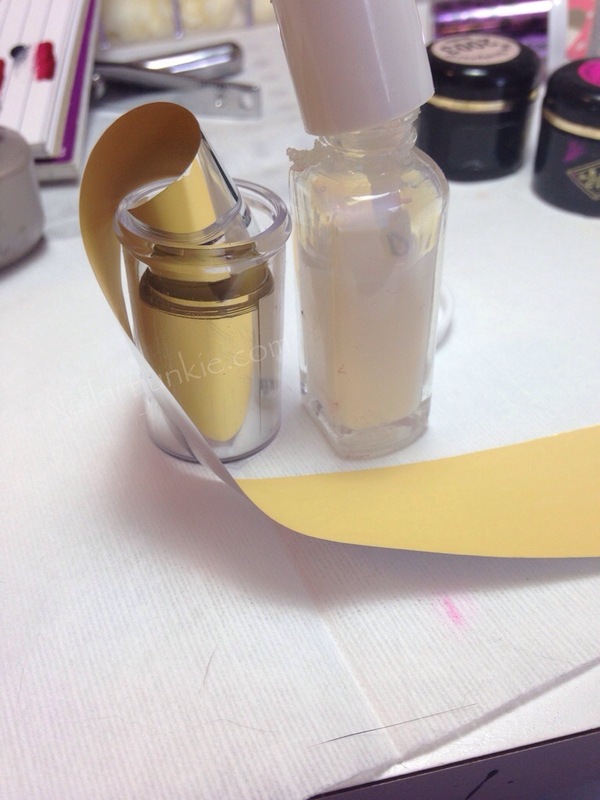 Apply a clear gel as a base and cure. 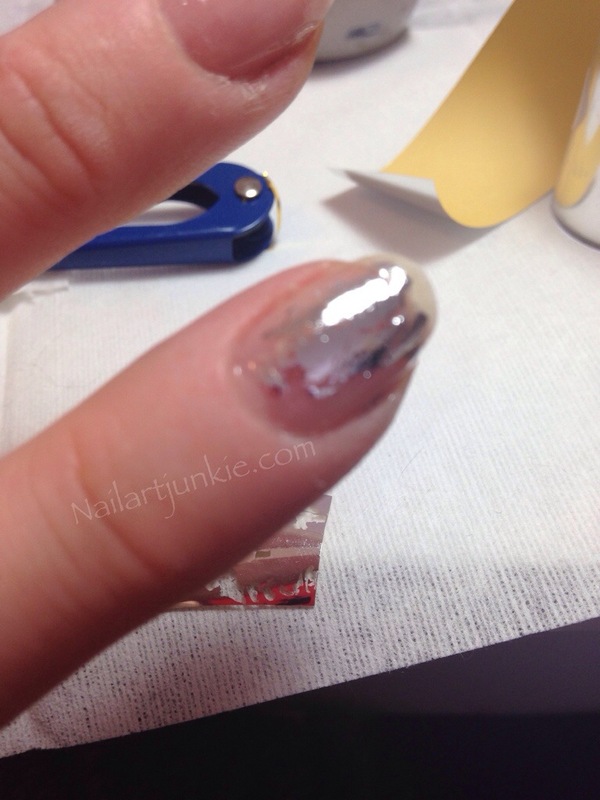 Apply the foil glue in an oval shape in the center of the nail. 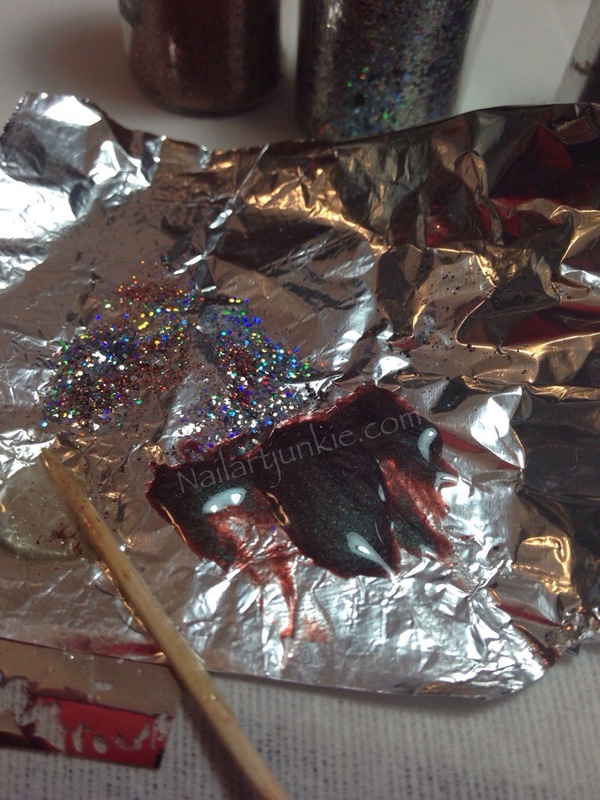 While the glue is drying cut 5 small pieces of silver foil. 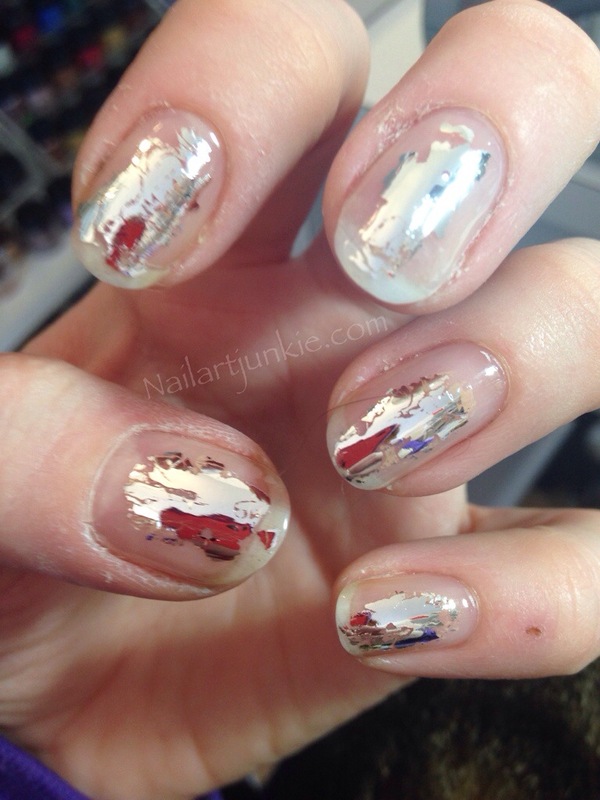 Once the glue is tacky then press the foil onto the nail to create an mirror reflection. Mix Blue Brown Pigment and Black Black Pigment into clear gel and then using a small brush trace an outline of your nail and pull the color toward the foil shape. Cure. 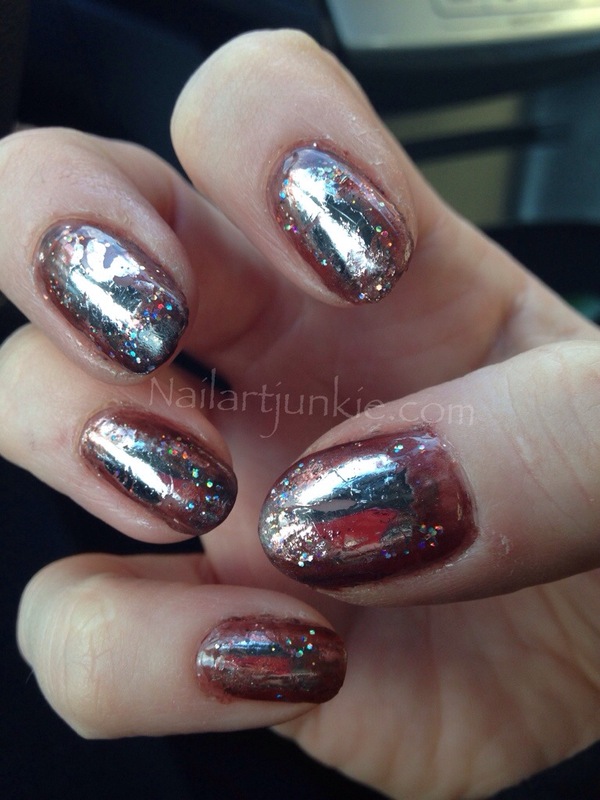 Once all ten fingers are done apply a second coat of color to create a gradient effect. 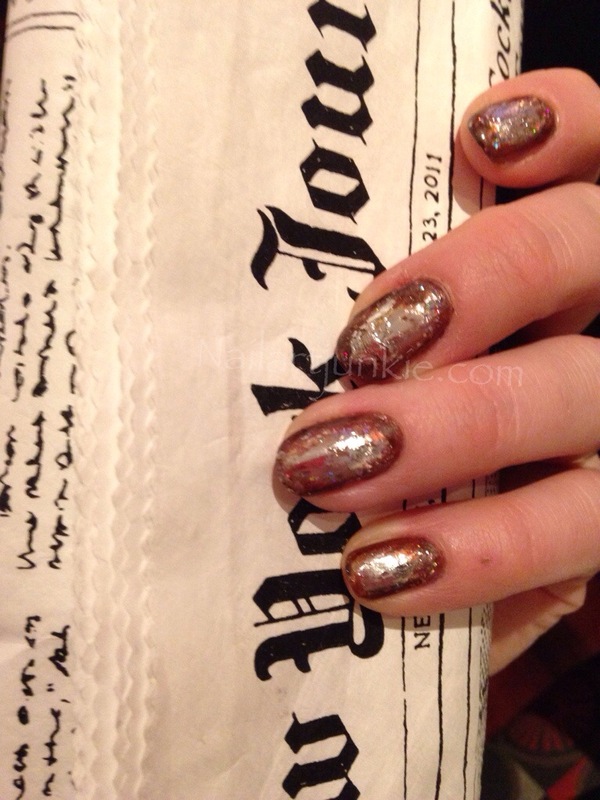 Lastly apply glitter around the foil for an added reflection selection…then top all ten nails with a generous coat of clear gel to seal in your design and cure. With the record selection and the mirror’s reflection and I’m dancing with myself. 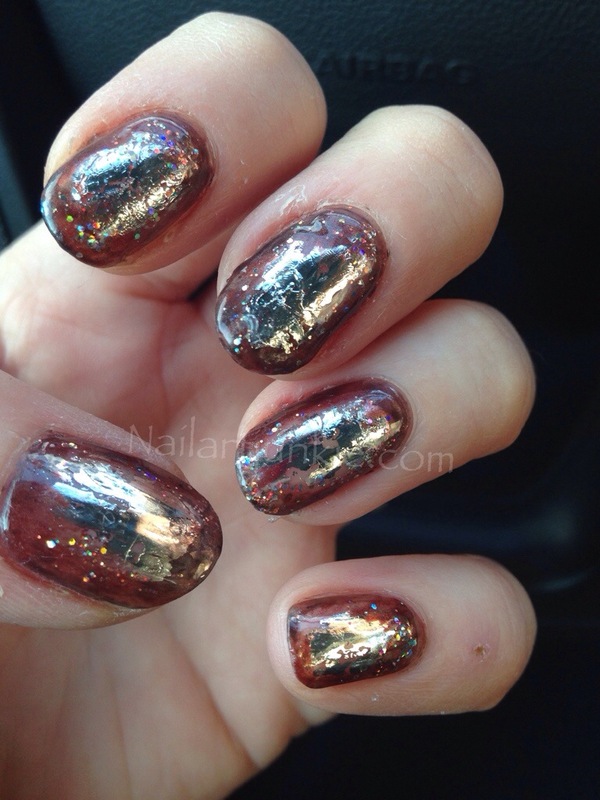 This entry was posted in Friday Files, Nail Art and tagged bio sculpture, blue brown pigment, friday files, Mac, mac pigments, nail art, nails, outlined nails, vintage mirrors by Keri Blair. Bookmark the permalink. Awesome. I would definitely love to flaunt it.